Pelee Island Winery 2017 LOLA Gewürztraminer with Spicy Spring Rolls. 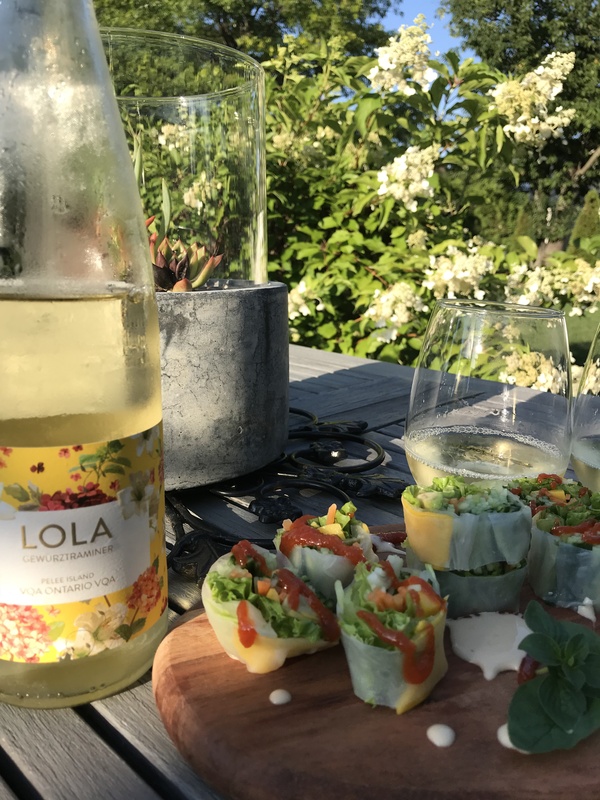 We say goodbye to the last holiday weekend of the summer with Lola Gewurtztraminer from Pelee Island Winery! Cheers! President’s Choice Spicy Spring Rolls. Pelee Island Winery 2017 LOLA Gewürztraminer. This wine has a flamboyant bouquet of lychees, roses and passionfruit and it is not uncommon to notice some spritz or fine bubbles on the glass.